Hiring a corporate outplacement service to assist displaced employees provides many proven financial and business advantages for the terminating company. However, outplacement services are not a one-size-fits all approach, especially when it comes to executive-level employees. When restructuring or cost-cutting measures leave C-level executives without a job, they have very different expectations than workers at lower levels. That’s why it’s vital for businesses to carefully assess the qualifications and services provided by their outplacement agency to ensure that they can effectively service a wide range of employee types. When executive-level employees are terminated, they have much higher expectations than other types of employees. The services offered by an outplacement agency must include those that these high achievers are seeking. In general, executives are looking for far more than a resume tweak or a well-written cover letter. While these are beneficial services, what they really desire is in-depth career coaching that will propel their careers forward. They aren’t simply looking for another position as quickly as possible. They are looking for a fulfilling position that provides both the monetary benefits and reputation that they enjoyed in their previous position. Additionally, while executives don’t want a resume tweak, they do want advice on creating their personal brand. This means ensuring that all of their career search material presents the same information and is geared toward the type of position they want. Finally, many also want assistance with creating or editing their online reputations, such as LinkedIn accounts. These are often thrown together rather than flawlessly conveying the strengths and achievements of the executive. Providing the proper outplacement services to displaced executives not only aids in their career search, but it also keeps them happy in the interim. In fact, keeping ex-executives happy is one of the main goals that a terminating company should strive for. Why? Well, executives rarely step down the corporate ladder, choosing instead to extend their job search until they find another high-level position. This means that it is highly likely that your ex-CFO will end up working for a competitor or another high visibility firm. Additionally, they will be networking with many of the same individuals that your company networks with, including potential clients. Thus, providing outstanding outplacement services upon their termination is a form of reputation management on the part of the terminating company. By keeping ex-executives satisfied, you are essentially ensuring that they will go on to be reasonably good brand ambassadors for your company. At the very least, you ensure that they won’t bad mouth your company or spread rumors. 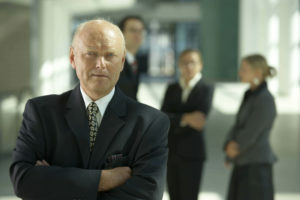 In addition to managing the company’s reputation, providing senior level outplacement services to displaced executives has significant financial rewards as well. Executives receive a much higher compensation package than standard employees. Thus, the longer they are unemployed the more their ex-company pays in health insurance coverage and other negotiated benefits. For this reason, providing outplacement services to even a few displaced executives is even more fiscally important than providing it to lower level workers. The executive outplacement services provided by Vertical Media Solutions allow organizations to offer their departing senior-level executives the most personalized assistance available. Our executive search consultants and career coaches work one-on-one with the candidate to target the right opportunities and identify the right contacts. For immediate answers to all your questions send us a message or call: 616-631-4300 ext 4.